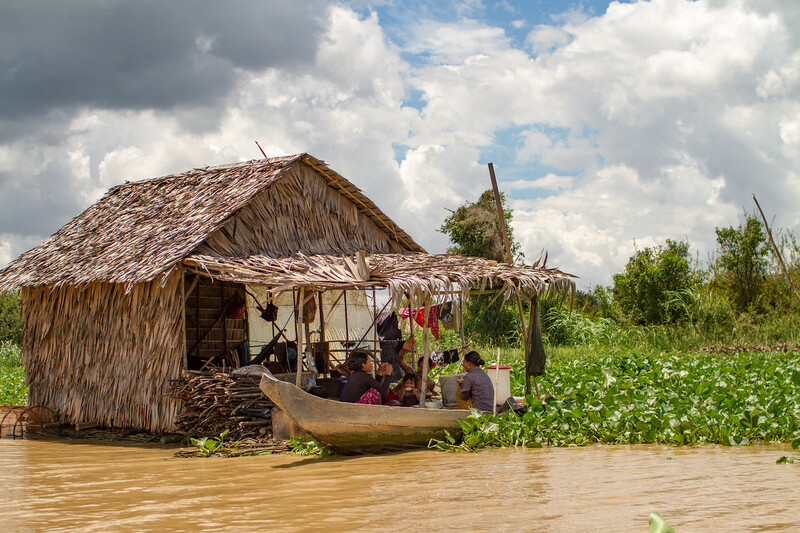 The Tonlé Sap of Cambodia is the largest freshwater lake in Southeast Asia and plays an indispensable role in the life of the country. Each year the lake dramatically expands and contracts with the seasons. During November to May, Cambodia’s dry season flows from the lake drain south along the Tonlé Sap River and into the Mekong River at Phnom Penh and the lake dramatically shrinks. During the rainy season, beginning in June, heavy rains fill the floodplain and the lake expands again. Aside from the seasonal expansion and contraction the lake is unusual because in October, due to monsoonal rains and Himalayan snowmelt reaching the Mekong River, the Tonlé Sap River actually reverses course and fills the Tonlé Sap Lake even more; to almost five-times its dry season size. Needless to say, living along the ever moving shore presents many challenges to those hearty enough to endure the dramatic seasonal changes. The solution for some has been to build their houses on stilts, some as much as 20 feet tall, and wait for the water to return. For others the solution has been to make their entire village float on the water and move with the seasons, like waterborne Bedouins. 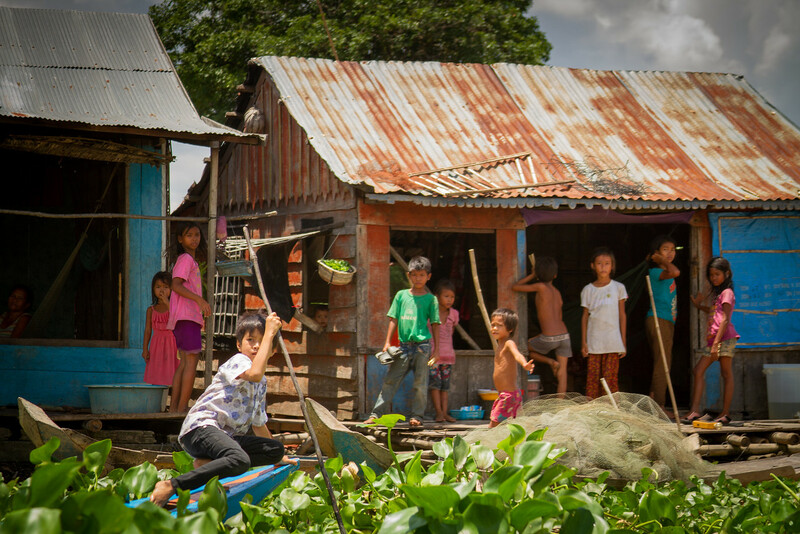 Visiting the floating village of Mechray on the northern shore of the lake near Siem Reap is truly an incredible experience. 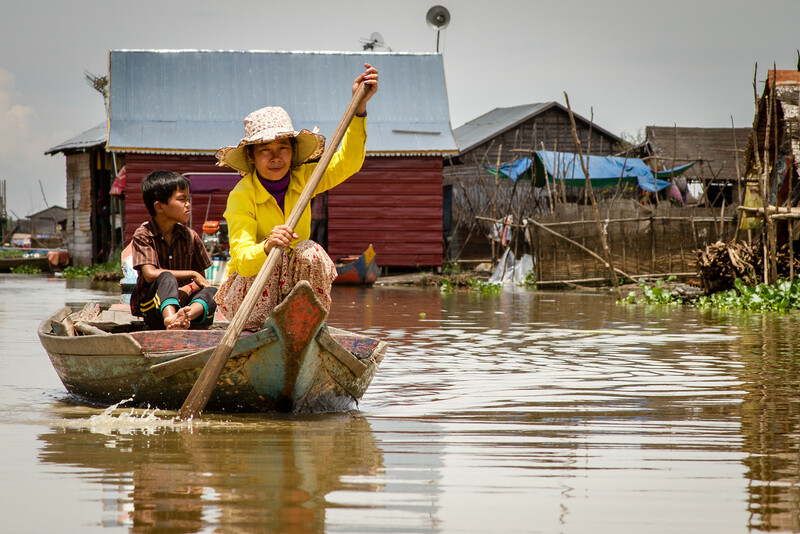 Residents of Mechray have adapted to life on the Tonlé Sap by moving all of the necessities of life onto the lake. Houses, stores, schools, and restaurants have all been moved onto floats. Even pigs, chickens and other livestock are taken along and raised in floating pens. As the lake recedes everything thing moves toward the new shores. One exception is the village pagoda which is an island surrounded by water during the rainy season and left high and dry, over two kilometers away, during the dry. 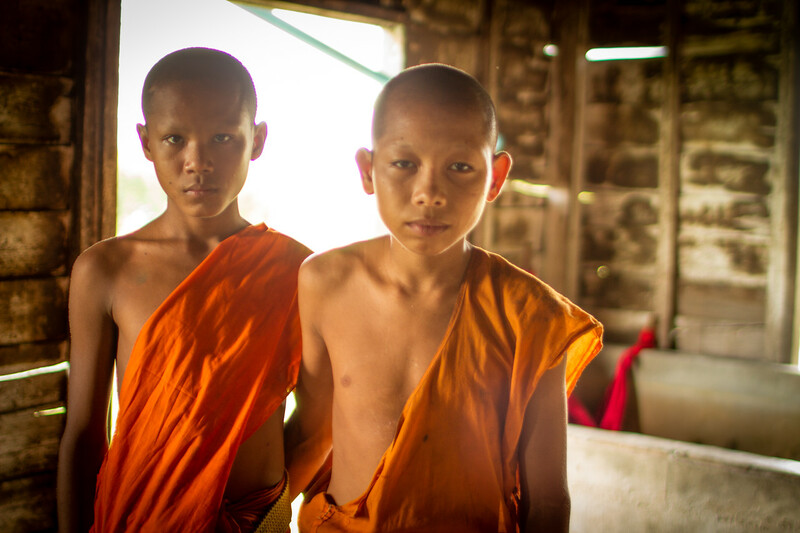 It seems improbable that as modernity comes to Cambodia that these villages will continue to exist. 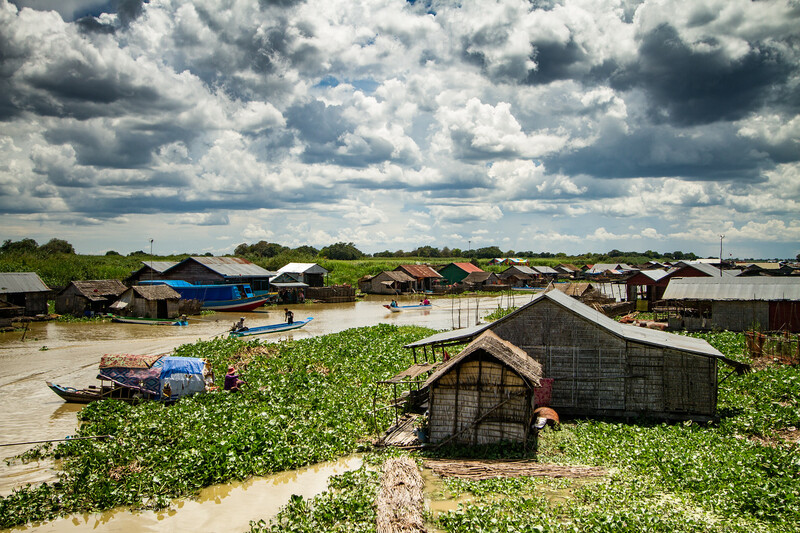 These are fishing villages and as commercial fishing, which is now technically banned, on the Tonlé Sap expands it will become more and more difficult for the inhabitants to use their traditional methods to compete. As the population grows near the lake, which now serves as everything from – swimming hole, to shower, to the sewage system, – conditions on the lake will undoubtedly deteriorate and this ancient way of life may become untenable. I feel very fortunate to be able to visit these amazing places before they are permanently lost to history.